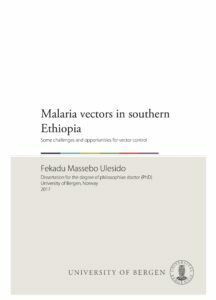 Background Malaria poses a significant public health threat globally, across Africa and in Ethiopia. The use of long-lasting insecticidal nets (LLINs) is currently a proven prevention mechanism. Evidence is building on what happens to LLINs following mass distribution campaigns, with mixed results from different studies, some reporting very low use for intended purposes, others an encouraging level of using for intended purposes. In Ethiopia, between 2005 and 2015, about 64 million LLINs were distributed through periodic mass campaigns with the aims to achieve 100% coverage and 80% utilization. 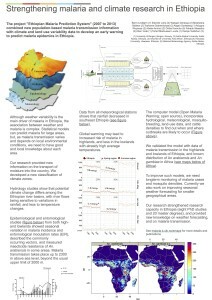 However, studies from rural Ethiopia showed variable LLINs coverage and utilization rate. 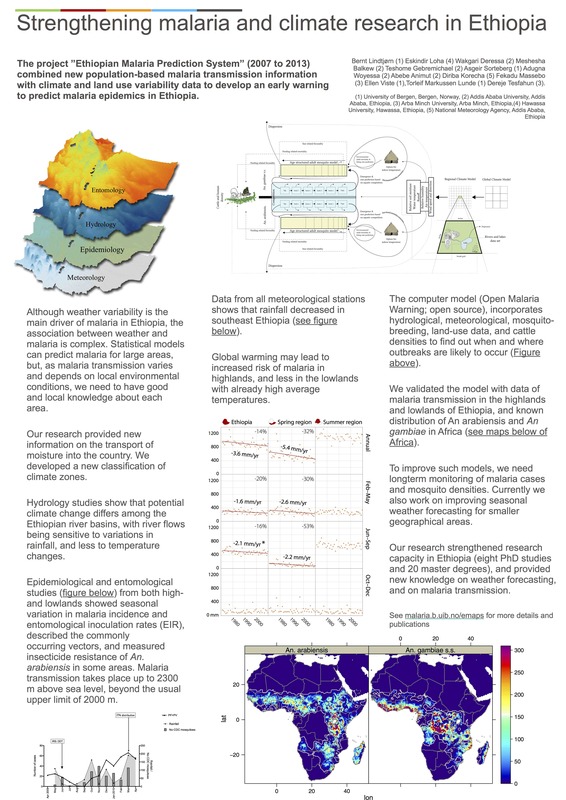 The MalTrial Project, a collaborative venture between Hawassa University, Ethiopia and NROAID, Norway, has started a trial project in 2014 in Adami Tullu District of central Ethiopia. Quantitative surveys have established evidence on LLINs ownership and utilization, but the behavioural, sociocultural and socioeconomic dynamics of why LLINs’ use for intended purposes is low or why they are employed for other purposes remained elusive. The present qualitative study, building on the quantitative findings and framework, therefore, attempted to fill gaps in these areas using qualitative methods in selected localities of the district. Methods The study employed 7 focus groups, 16 individual interviews and observation to undertake data collection in January 2017. The data were analysed using NVivo Version 11 (QSR International) to transcribe, code and identify themes using thematic analysis approach. Results The study found out that certain households were more likely to use nets for intended needs in proper ways; a range of factors, notably socio-cultural and poverty, highly influence users’ ideas about the right ways and decisions to use and care for the nets; knowledge gaps and wrong perception exist regarding the purposes and life cycle of the nets; LLINs are employed for repurposed uses once they are considered non-viable, old, or lose their physical integrity; existence of misuse was acknowledged and understood as wrong; and values about gender roles further shape uses, misuses and repurposed use of the nets. 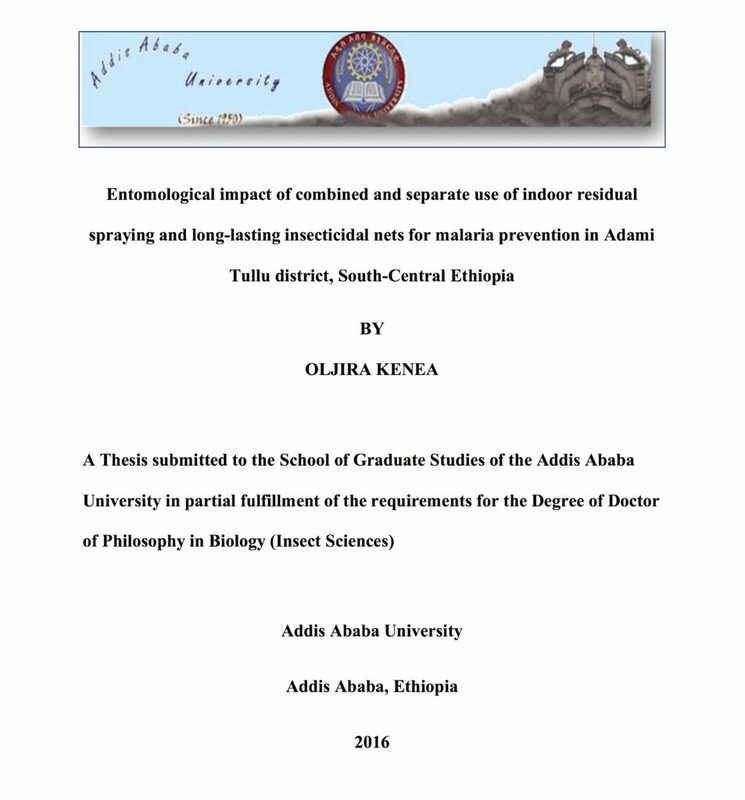 Conclusions Behavioural, socio-cultural, economic and ecological conditions coupled with deficiencies in perceived bed net design and distribution policies; weak education, communication and social support structures were important in understanding and accounting for why a low level of intended use and a rampant misuse and repurposed use in Adami Tullu community of Ethiopia. A major nexus to address in order to improve intended use of LLINs lies, first and foremost, in economic poverty and socio-cultural factors that underlie much of the misuse and repurposed use of the nets. Kena, O. 2017. Entomological impact of combined and separate use of indoor residual spraying and long-lasting insecticidal nets for malaria prevention in Adami Tullu district, South-Central Ethiopia. PhD thesis. Addis Ababa University.